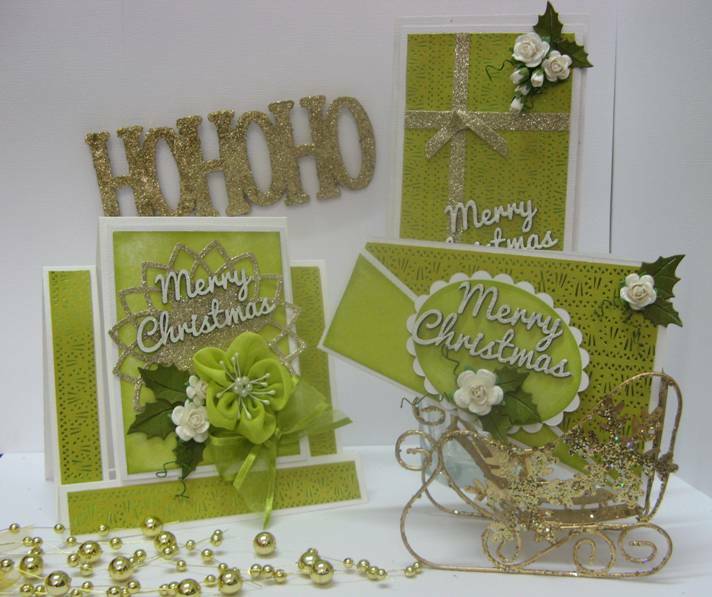 Christmas Cards we will be doing at our December Card Classes. 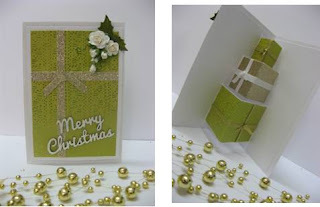 gold glitter paper that we sell. A few little surprises with this lot. when you open it up it has three little pop up presents inside. Just something a little different. the one on the right has a pocket for a gift voucher. alternative for these Chrissy cards. ring the shop on 43344451 to book in. These are all gorgeous Di...I especially love the one with the pop-up gifts. See you on the 21st!